OPEN HOUSE, SUNDAY, MARCH 3rd 1-3PM! 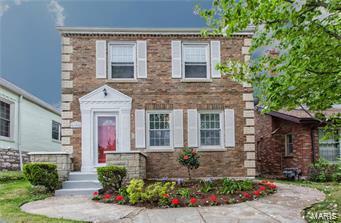 Fantastic 2 story in the heart of the popular Lindenwood Park neighborhood! This beautifully updated home offers large light filled bedrooms with plenty of closet space, gleaming refinished hardwood floors, a gorgeous open staircase, coved ceilings, wood burning fireplace, and elegant stain glass window. The renovated kitchen has ceramic tile floors, soft close cabinetry, granite counter tops and stainless appliances. The bathroom is updated with ceramic tile floor and new fixtures. Other updates include newer windows, newer furnace, new electric panel and new roof. Great Location near shopping, restaurants & easy highway access! - Walk to Lindenwood Park! Come see it today!